This morning... as I parked and stepped out of the car in front of our studio / shop, there was this air filled with amazing fragrance. I looked up... and there they were. 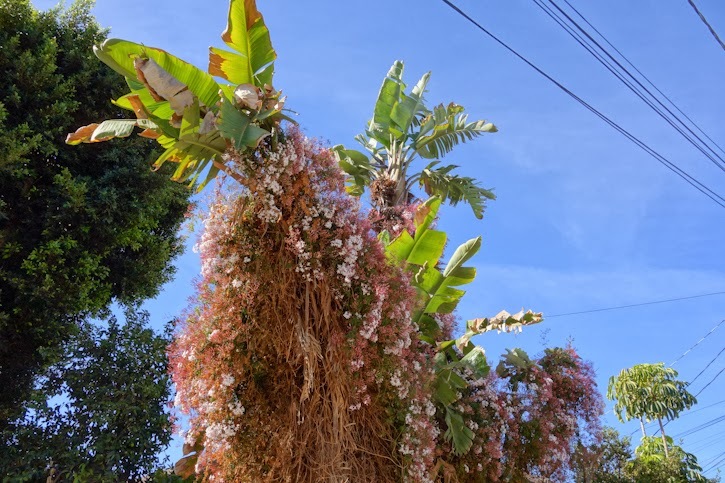 Jasmine in a full bloom wrapped all around the banana tree. It was such an intense "moment"... and I am so glad that I didn't miss it. Because you know... a moment to bring us back to the present is everywhere if we don't forget to pay attention.